A very chocolatey, moist Chocolate Fudge Cake that is similar to chocolate mud cake, but not as dense. Made with both melted chocolate and cocoa, AND topped with chocolate ganache, this one is sure to satisfying your chocolate cravings! 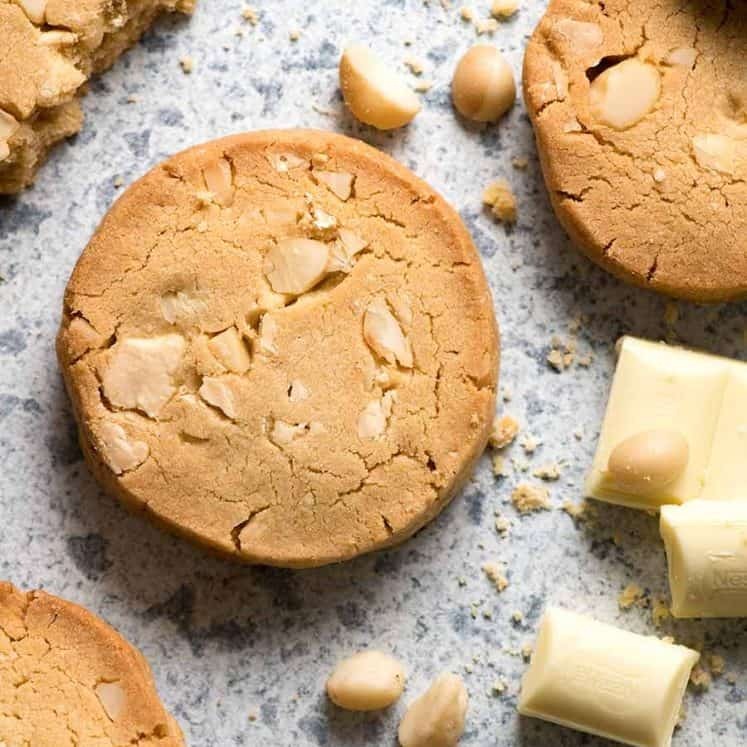 Super easy to make, very forgiving, no stand mixer or beater. Just one bowl and a wooden spoon! Chocolate Fudge Cake recipe published May 2016. Recipe slightly updated November 2018 with improved cake texture and a more streamlined process. New photos, new video, new words! I may be disowned as an Australian for saying this, but I’m not the hugest fan of classic Chocolate Mud Cake. I find it too dense and doughy, and it gets stuck to the roof of my mouth. It’s very……erm…..mud-like. It’s intensely chocolatey – thanks to the use of both melted chocolate AND cocoa powder. 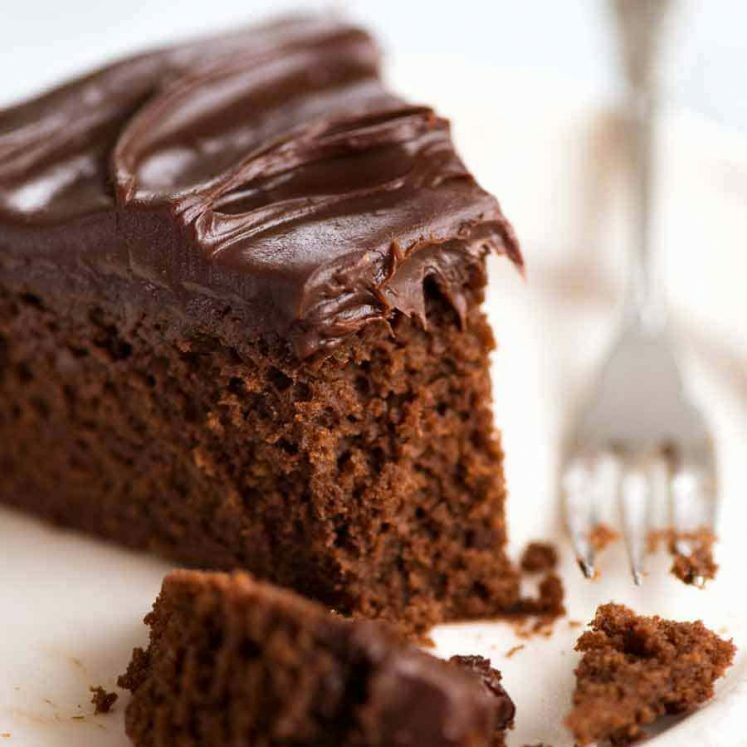 Beautifully moist and fudgy – hence the name! Terrific flavour. It truly tastes of chocolate which, as odd as it sounds, is actually rarer than you might think. You just need a wooden spoon. No stand mixer, no electric beater. It’s virtually foolproof. I’ve cooked it on high for shorter periods of time, and low for longer. I’ve had to dash out of the house before it was fully cooked and left it in the oven (turned off) to finish cooking. And it always works out. Why? 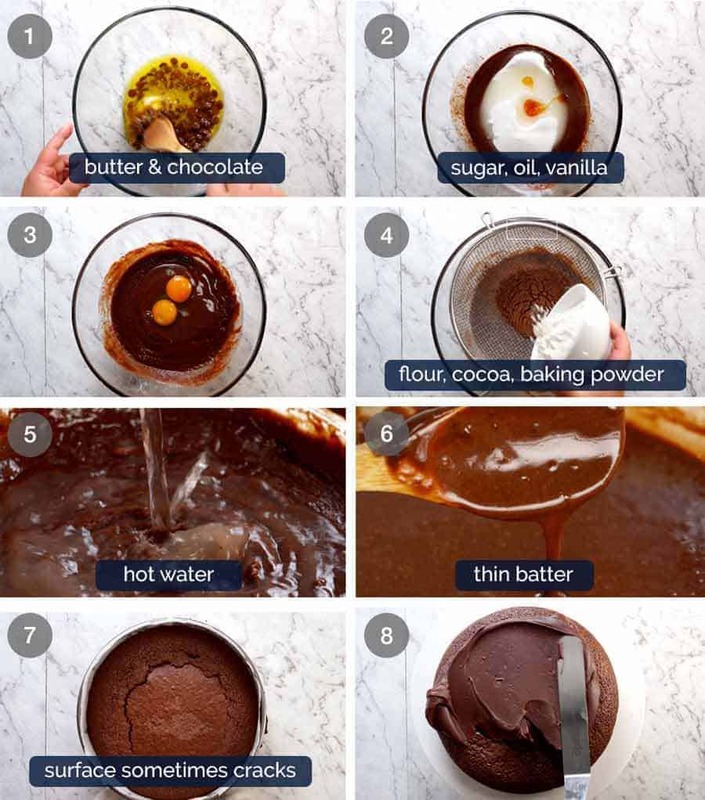 Because it’s so fudgey, it is actually hard to overcook so it becomes dry and it is not meant to rise very much so you don’t have to worry about that part either! The Chocolate Ganache Frosting is crazy easy too. Cream + chocolate, melt, mix, cool. No beating! Everyone goes mad over this. Chocolate on chocolate. Enough said! You would be forgiven for thinking you’re making a brownie when you start making this Chocolate Fudge Cake. Because that is in fact where the roots of this cake recipe is drawn from. Did you know… The reason you see hot water in chocolate cake recipes is because it makes the cocoa “bloom”, making the cake taste more like chocolate! ↑↑↑ Crackage is normal! It’s kind of like that crinkly top of brownies – because this cake has lift in it from baking powder, it “bursts” through the crinkly top. But don’t worry, the cracks are less prominent once it cools (because it sinks a bit) and it’s completely hidden under Chocolate Ganache! I had someone on Instagram asking me what the difference is between Fudge Cake and Mud Cake so I thought I’d explain!! Chocolate mud cake is so dense that it cuts cleanly with perfect edges and virtually no crumbs. In contrast, fudge cakes have more of a cake-like texture, like what you see in the close up of the slice at the top of this post. I’m of the opinion that if we’re going to make a Fudgy Chocolate Cake, let’s really drive home the decadence and chocolate flavour by frosting it with chocolate ganache. If you’re new to Chocolate Ganche, you’re going to really love this. Rather than beating icing sugar and butter for ages and ages like we do with Chocolate Buttercream, Chocolate Ganache is made simply with cream and chocolate that’s heated until the chocolate melts. 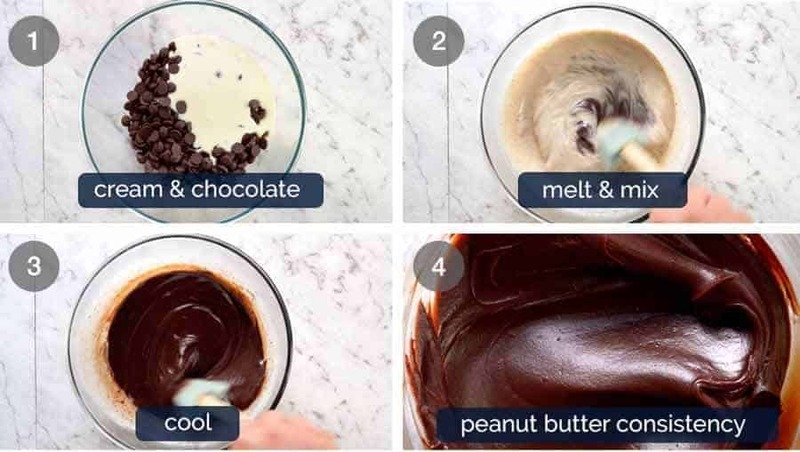 When hot, it’s a chocolate sauce you want to pour over everything. When it cools, it has the consistency of peanut butter. Easy to spread and swirl on your cakes or cupcakes, and everything in between. 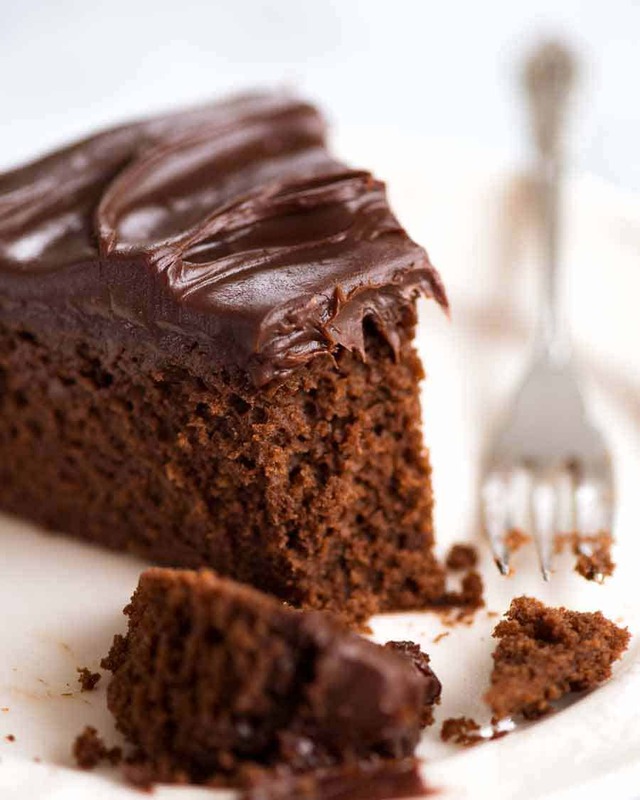 My everyday Chocolate Cake is beautifully moist and it’s the one I make most often. But I figure we all need a blow out Chocolate Cake in our repertoire too. 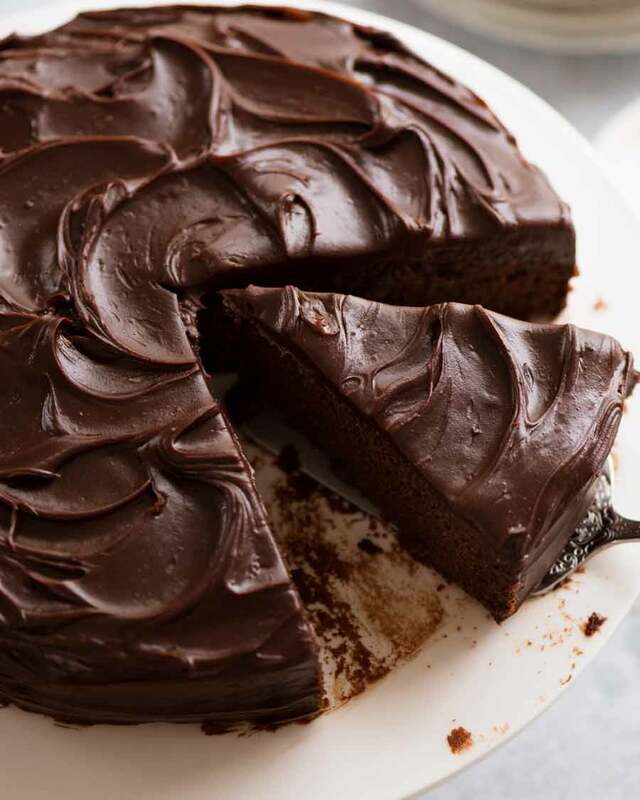 And this Easy Chocolate Fudge Cake is my blow-out Chocolate Cake recipe. It is rich. It is chocolatey. It is moist and fudgy. And I absolutely love it. Recipe video above. 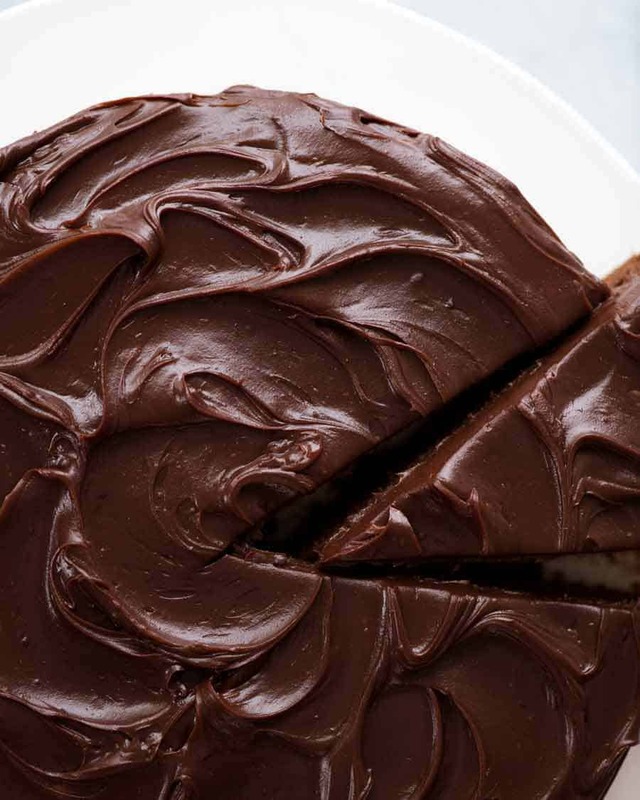 This cake is rich, very chocolatey and super moist! It's based on a brownie / mud cake recipe - but with a bit of extra rise so it's not as dense and gooey. 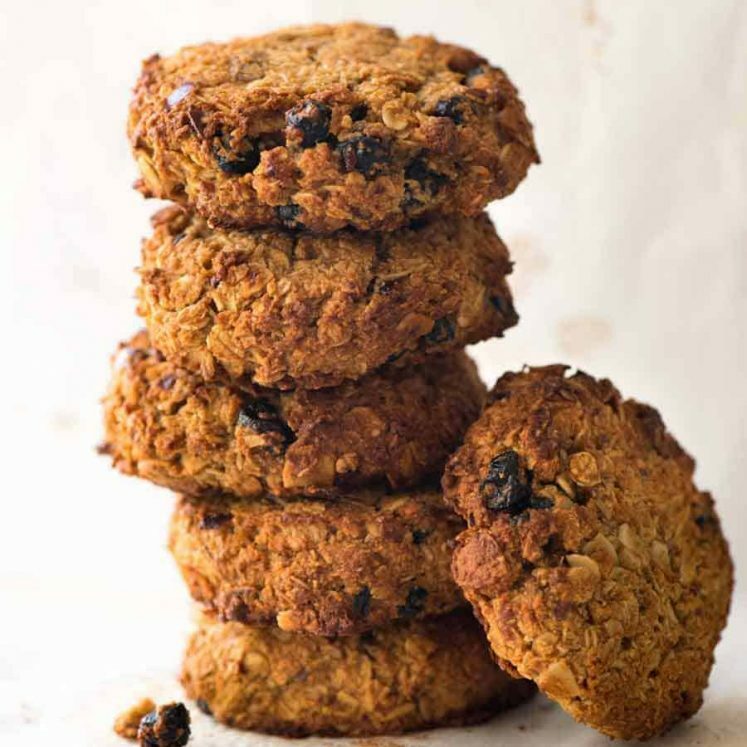 This recipe is easy and it's virtually foolproof - it is VERY forgiving! It's not very tall because it's so rich and it's a single layer cake. Preheat oven to 150C/300F (standard) or 130C/265F (fan). Grease a 22 cm / 9" springform cake pan and line with parchment / baking paper. Melt butter and chocolate: Place butter and chocolate in a heatproof bowl. Microwave 3 x 30 seconds on high, mix in between, until melted. Mix. Oil, vanilla & Sugar: Add oil, vanilla and sugar, mix to combine (this brings down batter temp). Eggs: Add eggs and mix until combined. Dry Ingredients: Sift cocoa, baking powder and flour (and coffee, if using) directly into the bowl. Mix until smooth, batter will be thin. Some small lumps is ok. Hot water: Add hot water. Mix until incorporated. Bake: Pour into the cake tin and bake for 1 hour or until a skewer inserted into the centre comes out moist but clean. Check at 50 minutes. The surface will crack (sometimes badly!) but sill subside when it cools and gets covered with frosting so don't stress! Cool: Remove sides from the cake pan and transfer to a cooling rack to cool. Cool completely before carefully handling to remove base (Note 7). Place chocolate and cream in a heatproof bowl. Microwave 3 x 30 seconds, mixing in between, until chocolate melts. DO NOT let cream come to boil. Stir chocolate until smooth. Refrigerate for 1 to 2 hours or until thickened to a spreadable consistency like peanut butter. Spread over the cake - tops and sides. 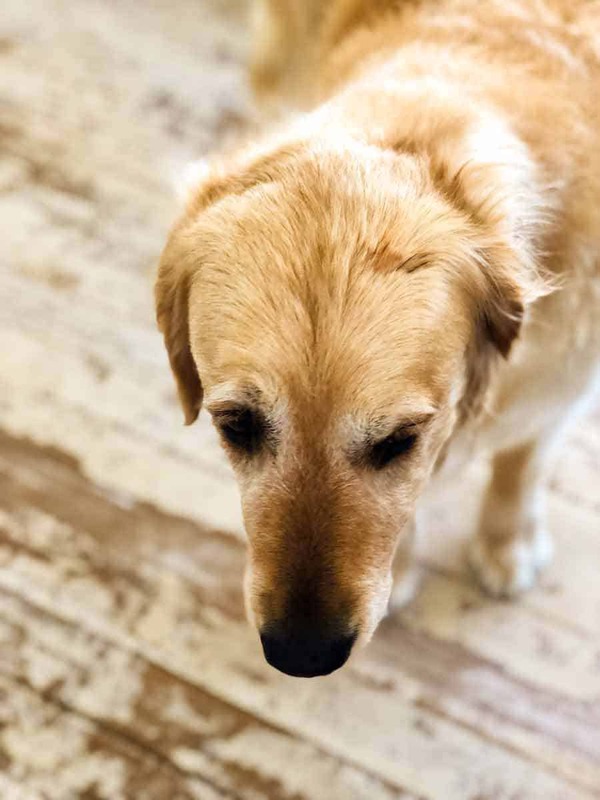 Use a teaspoon in a swirling motion to achieve the textured surface you see in the photos. 1. Chocolate - I usually make this with dark chocolate chips. If making this for company, I will use good quality 70% cocoa dark chocolate. Any baking chocolate will work great - even milk chocolate. Just be sure to use cooking chocolate sold in the baking aisle. Don't use eating chocolate - it doesn't melt properly and is too thick for batter. US: semi sweet chocolate is perfect, I always bring back a stash when I visit the states! 3. Cocoa - Ordinary, unsweetened cocoa powder is what I usually use. To pimp it up, use good quality Dutch processed. 4. 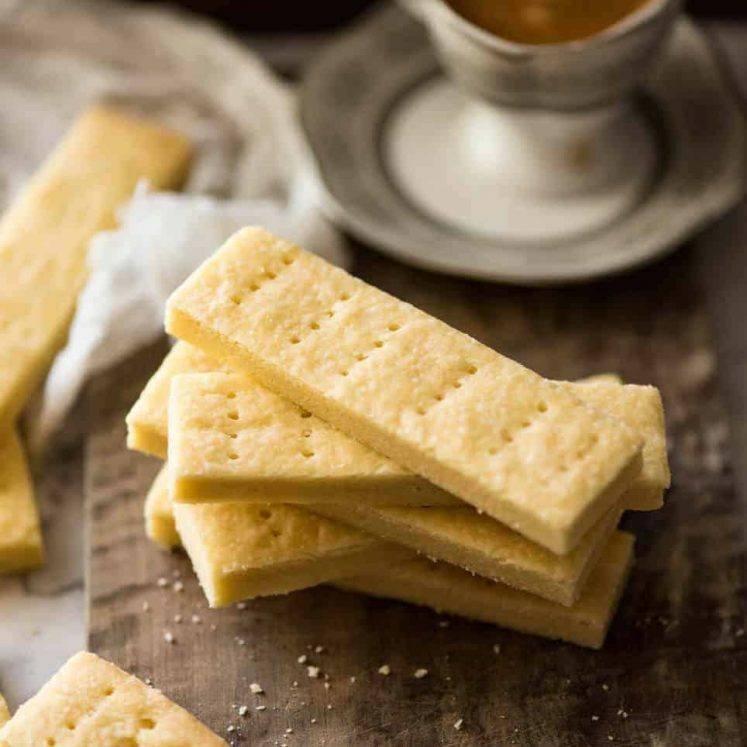 Self raising flour can be substituted in place of plain flour + baking powder. 5. Coffee - a touch of coffee brings out the chocolate flavour but doesn't make the cake taste like coffee. Because I don't use coffee granules for day to day purposes, I usually do not have it on hand so I don't use it most of the time. The other option is to use a hot cup of coffee in place of the water - same quantity (1 cup / 250 ml). 6. Cream - you must use cream with 30%+ fat in order for the ganache to set. Heavy / thickened cream is ideal. Low fat will not work. Some pouring creams (ie not whippable) are lower fat and also will not work. 7. Handling: Because the cake is so fudgy, it's delicate so handle gently. The cake is more delicate when warm (as all cakes are) so don't try to remove the base until it's completely cool. If you don't have a springform pan, just cool the cake in the pan. 8. Ganache - pourable when warm, thickens to a spreadable consistency when cooled (which is what you want to frost this cake) and when refrigerated for a few hours, hardens to a chocolate truffle consistency. If you leave it in the fridge for slightly too long i.e. too hard to spread, just microwave for 10 seconds to soften then mix. 9. Different Measures in Different Countries: Measuring cups and teaspoons differ slightly between America, Canada and most of the rest of the world. For most recipes, the difference is not enough to affect the outcome. However, for baking recipes it can mean the difference between success and an epic fail. Every baking recipe on my site is cooked using each Imperial and US measurements, and this one is no exception. It works as written regardless of what country you are in (except Japan, see note below). As noted in post, it is actually quite forgiving because it's so moist and fudgey. Japan: If you are in Japan, please ensure you weigh the flour, sugar etc. Do not use Japanese measuring cups, they are too small. 10. Easy Chocolate Fudge Cake Nutrition per slice assuming this serves 12. This is a VERY big slice! Originally published May 2016. Recipe slightly updated November 2018 with improved cake texture and a slightly more streamlined process. Wow Nagi! This is THE chocolate fudge cake I’ve been trying to make all my life – so moist, dense & insanely chocolatey 🤪🙃😋 – unlike so many other recipes that produce only a rather blah non-chocolate cake. Also, it’s so easy to make that my brother, an avowed “1 bowl baker,” will try your recipe soon! Thanks so much for sharing this amazing cake, along with the great baking tips in your notes. Happy Baking 2019! Thanks so much. Used this for my kids birthday cake. They all loved it! Yes! I’m so glad it was a hit! I don’t see why not! I’d love to know how it works! Thanks so much for the feedback Julie, I hope you loved the cake! I can only get whipping cream here (not double) so would you suggest whipping this,, prior to adding the chocolate for the ganache? I baked a cake for the first time and it is easy and tastes amazing. Everybody loved it. Thank you for this wonderful recipe. Woot! So glad you loved it! Thank you for this recipe. I baked a cake for the first time and it was an easy recipe. It tastes amazing. Thank you so much!! I just had one question. Can this recipe be used for making cupcakes? This is a delicious cake ! Thankyou so much Nagi. Thanks for a wonderful recipe. Have made it twice so far and everyone loves it. My daughter in law has PKU, so we have just tried making it with her gluten free flour and a banana to replace the eggs. It took a bit longer to bake but otherwise has worked well – so she can now indulge freely! Oh that’s great Donaleen, awesome to know that it still works with the substitutions!! Hi. I do not own any round pans only 9×9 or 9×13 ones. Would bake times be similar in a 9×9? Nagi I have just made this at 130 in fan forced 9inch tin. Had to do it for over an hour it didnt crack and is quite sticky to touch. I am worried it is not cooked, should it be sticky, it hasnt sunk and looks ok. I only have 20 cm round tin. Should be ok with that? or will it be too tall for this cake? If I can use 20 cm, how long should I put it in the oven? Sorry, I ask too many question. I plan to make this cake for end of year lunch with family. Hi Laila, I have the cook times in note 3. I hope you love it!!! I didn’t think a great mud cake could be bested but it has. My only change was to add crunchy peanut butter to the ganache as I was wanting a slightly nutty salty taste and it was perfect! I’m so glad you loved it Sue, that’s a great idea with the peanut butter – I’ll have to try that one! I have made this cake a number of times and love it, but using your original recipe. Is there any way you can reload the original recipe? Did the previous version have a lot more butter in it and suggest a slightly bigger tin size? I did a test run last month before making for my daughter’s birthday this weekend and now I’m very confused as the recipe has changed! Hi Emma, the new recipe is far better! I found the old one good, but this one is sooooo much better! Dav, It depends on the type of flour/location. 1 cup of flour is 150g here so base your recipe off the weight. I hope you love it! Hi Theresa, what size pan did you use?